The third in our monthly series in the Belstone Blog, written and provided by Chris Walpole. Originally published in “Good Neighbours” magazine, each walk explores a different aspect of the parish of Belstone, and appears here with additional images taken from the Belstone Community Archive. For more information on the Community Archive, please contact the editors or email Chris Walpole at chris.walpole@mypostoffice.co.uk. Start near the end of the lane going straight uphill out of Belstone (at OS grid ref SX 6167 9335) and read the plaque in front of the ‘Leakage Metering Office’; the words Si monumentum requiris, circumspice – if you seek a monument, look around you – echo those to Sir Christopher Wren in St Paul’s Cathedral. 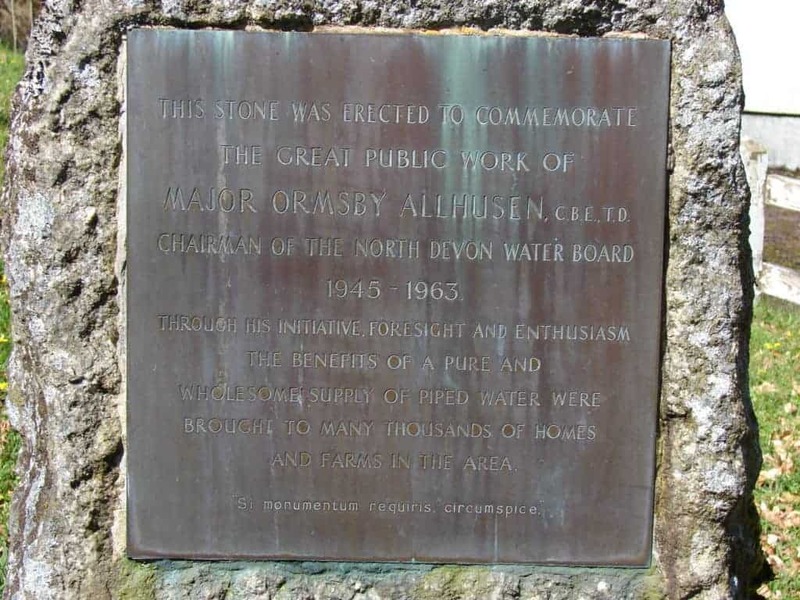 This building was constructed in 1963 to treat water brought underground from Taw Marsh, prior to its distribution across mid Devon. The Taw Marsh scheme ceased in the 1990s, with the two million gallon underground reservoir that you can see behind the building now containing water pumped from Prewley. 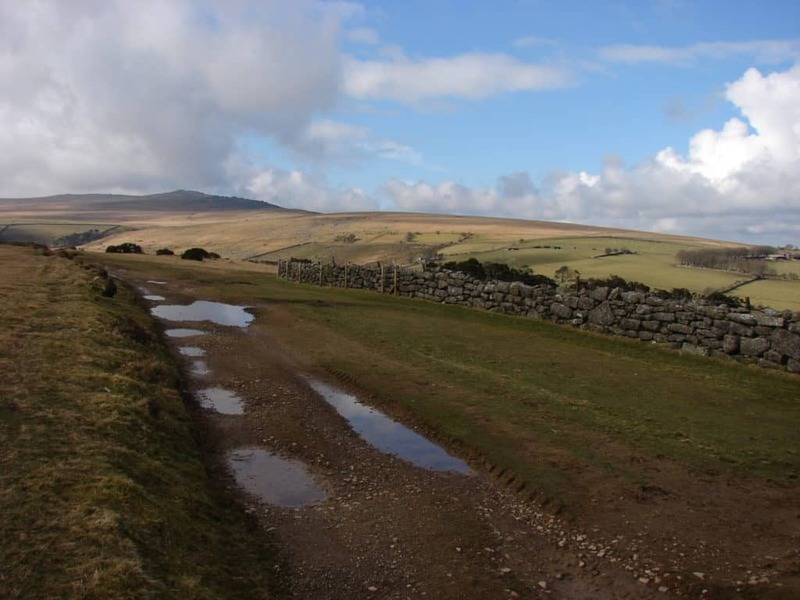 Go out onto the moor and walk 250 metres up the track (alongside the stone walls) as the wonderful view northward towards Exmoor opens up. A recent addition to this panorama is the Den Brook wind turbine array, to the right of North Tawton, as you look behind you. Opposite a 6-bar wooden barrier in the wall, bear left and follow a grassy track southward towards Belstone Tor. Now there are fine views across the East Okement valley to Yes Tor and High Willes on the western skyline, and the Nine Maidens stone circle is only a short distance down the slope. 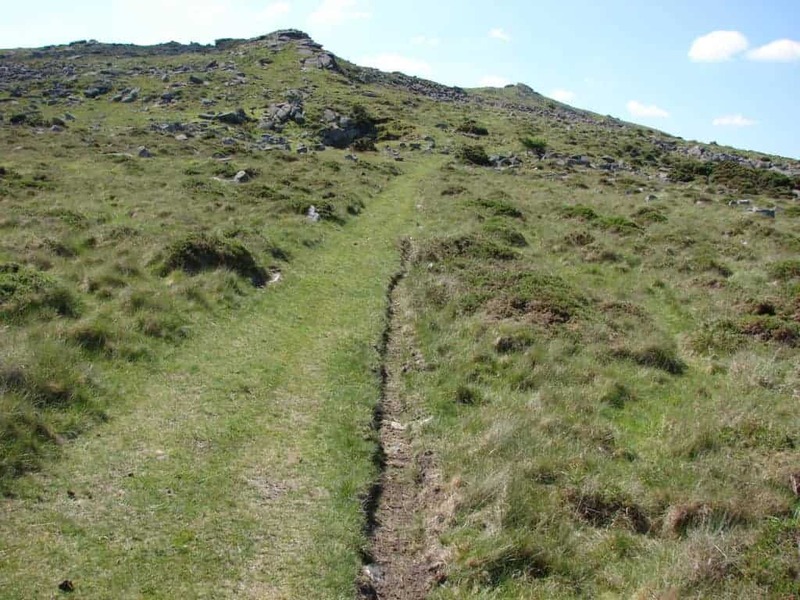 This track was used by carts bringing stone to the Mid Devon Granite Works in Belstone. The track ends after 500 metres at the small ‘Sand Pit’ quarry, where the ground begins to rise towards Belstone Tor. Look around to see examples of granite with regularly-spaced holes in them – made by a ‘jumper’ tool as part of the splitting process. 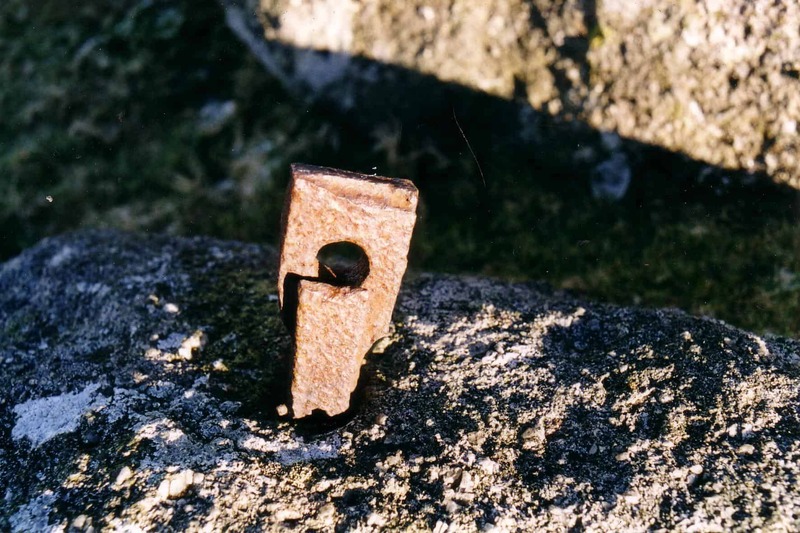 Close east are two pieces of ironwork embedded in the granite – these may be supports for a derrick used to move the stone onto the carts. Head back 200 metres towards the Watchet Hill flagpole, then turn right downhill towards Cosdon Hill and the almost hidden houses of Birchy Lake hamlet. 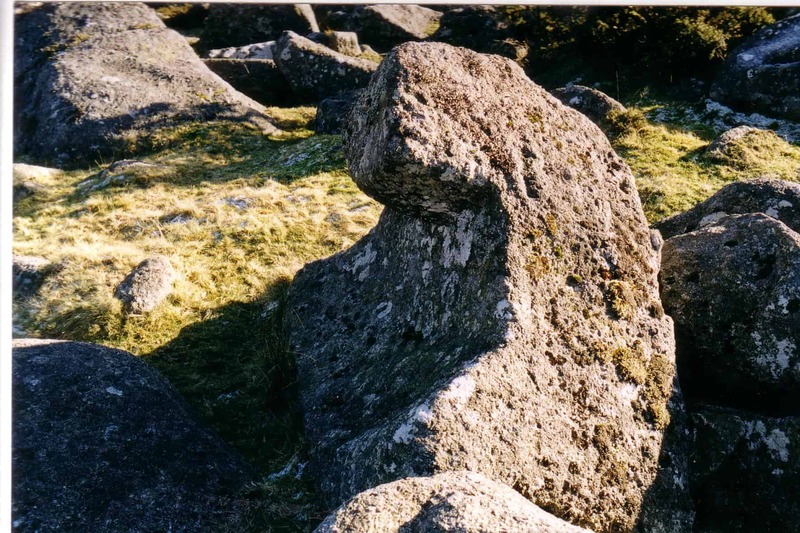 After 300 metres go carefully into the rocks, bracken and gorse on your right and look for a good example of a quarter part of a cider press which the granite workers abandoned – it’s at SX 6174 9289, about 20 metres above two isolated hawthorn trees. Ironwork embedded in the granite – a derrick support? Contour back around the east side of Watchet Hill to the moor gate and your start point, looking down on Belstone and the River Taw valley as you go.